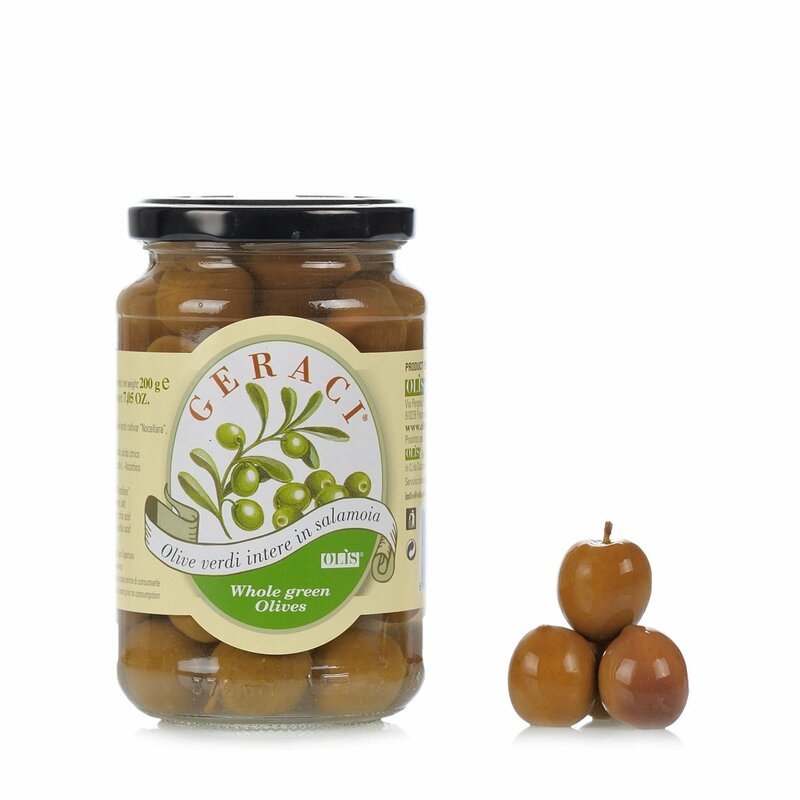 For a delicious aperitif, to make a simple salad more flavourful and for enhancing your main courses, select the Geraci Whole Green Olives in Brine, ready to be enjoyed after draining and rinsing them. Delicious and genuine, these olives represent the essence of the company's production, which it uses to produce its optimal Geraci extra virgin olive oil. Ingredients Green "Nocellara del Belìce" olives, water and sea salt. Acidity regulator: citric acid Antioxidant: L-Ascorbic acid. 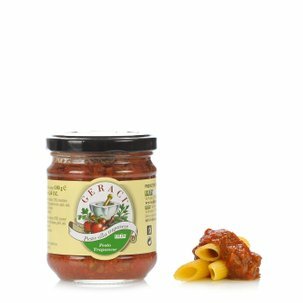 Origin: Ingredients of Italian origin. For more information on product labels, please contact our Customer Service department. The information on the labels of the products may vary for reasons beyond our control, therefore, there may be discrepancies between the information on the site and that on the products delivered. Please always check the information on the product before consumption or use. 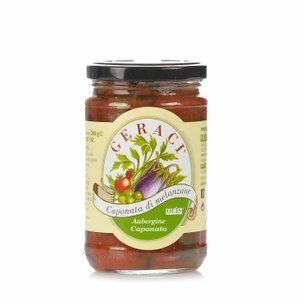 The Olis Geraci company, located in Partanna in the province of Trapani, is committed to producing high quality extra virgin olive oil and to valorising some of the best Sicilian specialties, made using the oldest recipes. Their intention is to make it possible to enjoy at any moment the unique fruits of Sicily, harvested in season and conserved without the addition of chemical additives or colourants, using only oil. The company's objective is to promote quality, and its constant commitment to quality has helped it obtain many recognitions and awards.